According to Monmouth County PDFD the Henry Hudson Trail between Highlands and Atlantic Highlands is closed indefinitely. It is closed off right after the spring. Apparently with the torrential down pours the last two days a “mud flow” occurred, similar to what happened to Sasha’s a few years ago. 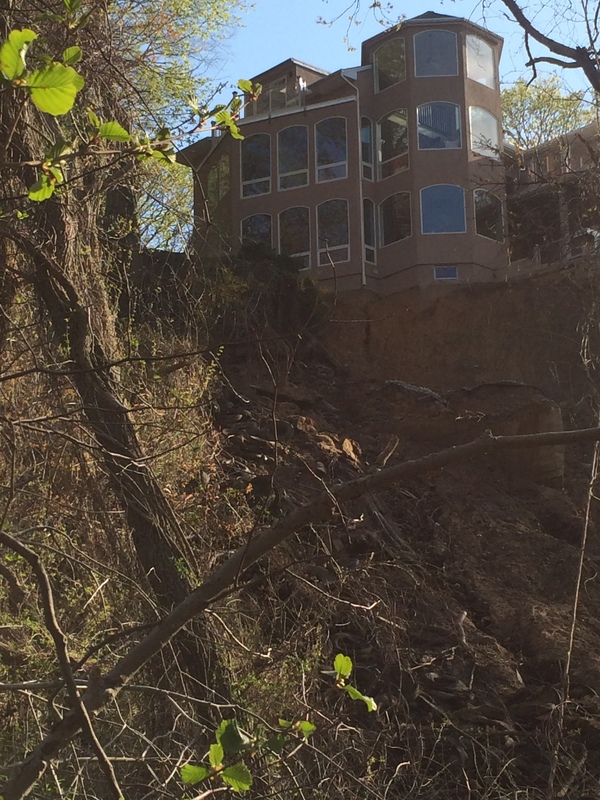 Debris that included tires, trees, dirt and rocks is blocking the path continuing on to Atlantic Highlands. No word on when the trail may be reopening. Shocking! Hey, let’s get some heavy equipment up there and start drilling and blasting then put up a highrise – that sounds like a great idea, right? I’d say the Council knew what they were doing when they gave the highrise the big nay!!! Unfortunately the Council previously voted “AYE” in June 2012 on ordinance 0-12-09 to allow Mid-Rise Multi-Family development in that same MH zone. Maximum height 6 stories … required to consist of multiple buildings or structures and not one (1) residential structure. AYES were Redmond, Francy, Kane, Nolan. O’Neil was absent. I disagree. Let me refresh your memory because you seem to forget that they voted “yes” first. On July 3rd, 2013 at a council meeting called at the very last minute right before a holiday weekend, Nolan, Kane, Ryan and Redmond all voted in favor of a high rise. Francy was absent as he was on vacation. He was the only one in 2013 to vote “no” against the high rise in the past. Subsequently many residents voiced their opposition and only after the threat of yet another lawsuit did the council vote “no.” I wouldn’t put it past them to try to pull this stunt again. Wow ! … a picture says a thousand words! 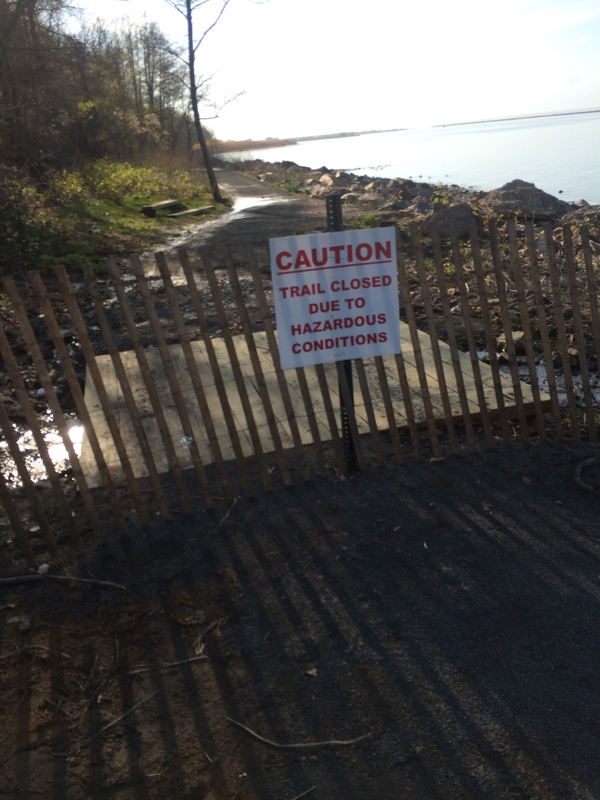 Both Highlands and Atlantic Highlands pushed to get the trail open. I know businesses in Highlands attributed the closed trail to less foot traffic. Since it seems this trail won’t be open anytime soon, is there any possibility of setting up a water taxi to connect the two towns? Maybe they and the county could find some grant money to get it going. Would be nice to get water taxi from Sandy Hook to bring foot traffic and people to spend money at our businesses.